Belize has some great local produce markets. San Ignacio, in particular, is famous for fresh Belizean fruit and veg. Markets like this exist in most towns across the country. San Pedro, on Ambergris Caye, also has its share of roadside stands and stores where you can find fruit and vegetables from the mainland and abroad. They are fun places to shop, especially if you’re interested in learning about new foods. San Pedro has a large expat community and also many well-off Belizean households who want a different type of product. They think about what they buy and they not only want it to be delicious, but they care about where their food comes from, too. Healthy, ethically-produced food has now turned into a demand that local small business owners have moved in to fill. 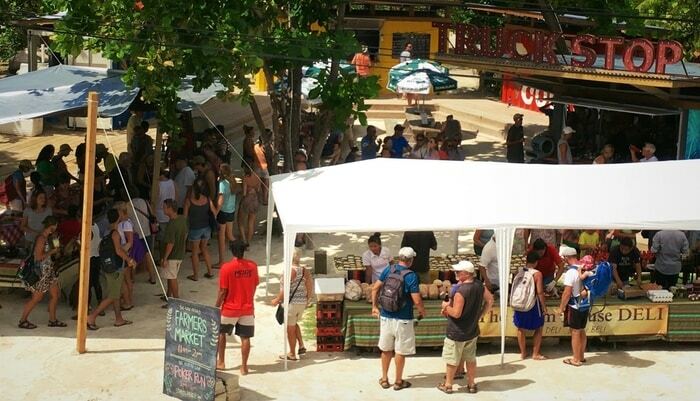 San Pedro, the only town on Ambergris Caye, now has a farmers market. The San Pedro Farmers Market takes place once a month at The Truck Stop, about a mile north of the bridge. It doesn’t matter where you are on a Friday night before market day, you’ll hear people discussing their plans to meet up at the farmers market. 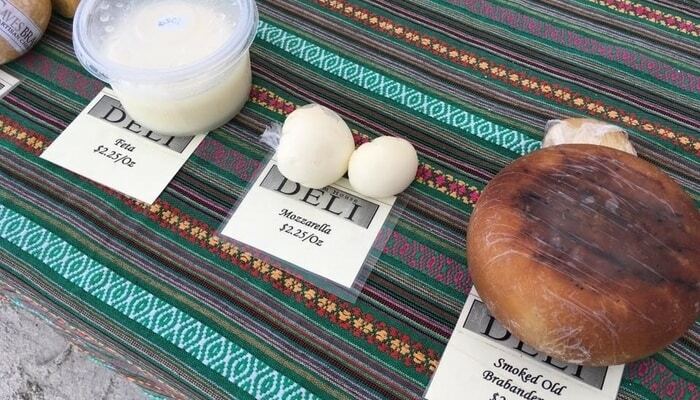 If you love good food, you’ll find the San Pedro Farmers Market a surprise and a delight. It might amaze you to find products like real artisan cheeses, made right here in Belize. That may sound far-fetched, but Ian Anderson, Belizean cheesemaker supreme, researched, studied and experimented until he created a variety of true, world-class cheeses. And now he’s sharing them with the country at events like the San Pedro Farmers Market. At the farmers market, you can buy cured meats like pastrami, handmade dog treats, and homemade dishes like pierogi and ravioli. The vendors vary from month to month. But depending on who’s around, you can sample fresh sushi or taste test delicious varieties of hummus and pate. You will definitely love the local spices on display. Looking at them is a feast for the eyes. The market allows you to find out about products you may never have thought were available in San Pedro. 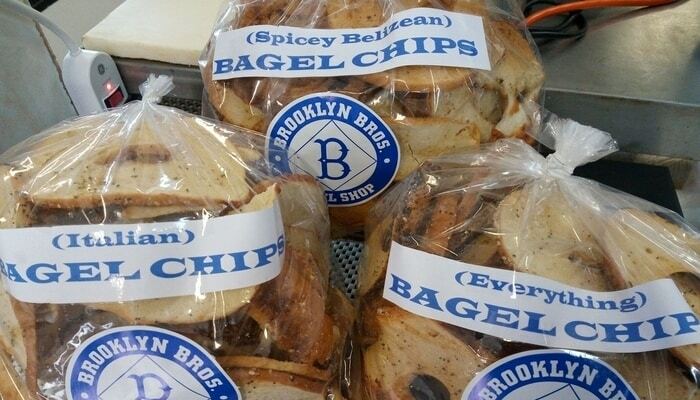 You’ll discover local businesses like the Brooklyn Brothers Bagel Shop, an authentic bagel bakery based in San Pedro. 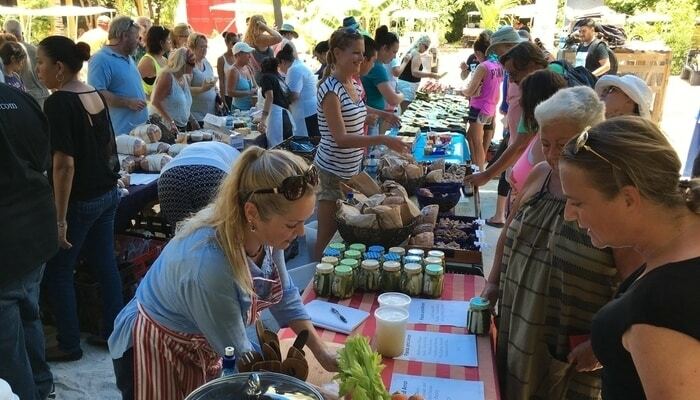 The market has also inspired talented home-based cooks. Many show up to sell mouthwatering desserts and good old-fashioned kitchen recipes like bacon jam. Some producers are from Ambergris Caye, selling items like hydroponically grown, crispy fresh greens and homemade jarred pickles. Others travel from the mainland especially for the day, bringing fresh-baked bread and free range eggs. The San Pedro Farmers Market is a great way to meet new people in a casual and friendly setting. Live music often plays and people stroll around with a glass of wine chatting and enjoying the ambiance. By being there you’ll know you share a common interest in all things delicious. So ask around or check out Facebook for the next event and remember to get there early. 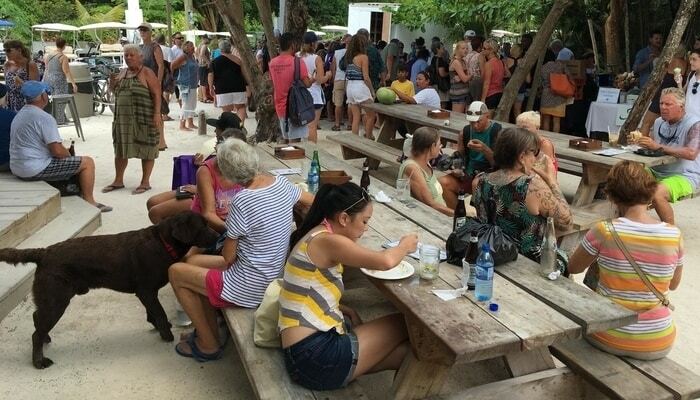 While island time applies to most things on Ambergris Caye, those in the know, know delicious things sell out fast. Colette Kase and her partner run a photography business on Ambergris Caye in Belize called Conch Creative. She also writes about life in Belize, among other subjects. Follow her on Facebook. What it’s like to fish in the Los Sueños Triple Crown….. And Win! Why Should I Live In Corozal, Belize? If you have any interest in Central America, this website is for you. We aim to provide the stories, information, and opinion that will make you an expert on Central America. Find out more about us here. Sign up to receive our FREE 2,500-word guide to Central America’s Facebook groups plus inspiring Central America content into your inbox.